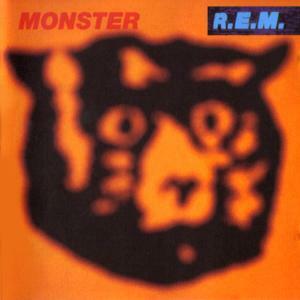 My So-Called Soundtrack: "Strange Currencies" - R.E.M. Tomorrow marks 10 years of wedded awesomeness with my lovely so today's post is going to be about another memory involving "us". I'll do my best not to get too mushy. The first time Amanda and I performed any music together was totally spontaneous and totally awesome, just like her. In the spring of 1995, just a few months after I first started learning how to play guitar, our friend Rebecca asked my "band" (that is code for a group of friends who are learning how to play their different instruments at the same time) to play at her birthday party. We learned a bunch of killer covers by Nirvana, Green Day, The Offspring, Stone Temple Pilots, The Cranberries, and a few other 90's alternative gems. We pulled it off about as well as we could for some struggling teenage wannabes and the crowd went nuts. Sure, the crowd was made up of friends and family, but still. We were just shooting for getting through all of the songs without any massive screw ups and hoping no one would walk out while we were playing. To our surprise the deafening chants (okay, the random outbursts) of "encore" threw us for a loop. We had already played every song we had practiced together. I quickly tried to think of other songs that I knew all the way through on guitar. The first two that sprung to mind, "Blister In The Sun" by Violent Femmes and "Self Esteem" by The Offspring, didn't exactly seem appropriate to sing in front of Rebecca's parents. I had been dissecting R.E.M. 's Monster album pretty heavily at the time so I started playing the opening riff to "Strange Currencies" and asked if anyone wanted to come up and sing. Enter the future love of my life. Amanda and I had a year of high school under our belts and we were already pretty good friends by this point. She came up and started to sing and I distinctly remember that I was struck with the sound of her voice. This was no run of the mill Mariah Carey shriek fest. She had one of those low, smokey voices that I love like Liz Phair, Johnette Napolitano (Concrete Blonde) or Hope Sandoval (Mazzy Star). Her voice really got to me and I was so stinking impressed! On the ride home that night I kept hitting repeat on my cd player over and over again trying in vain to mentally capture what I had just heard. To this day I can't hear the regular version of "Strange Currencies" without hearing Amanda's voice singing it. Luckily for me though, I don't have to try to remember what it sounded like. I can just pick up a guitar and hear the live version any time I want. We've played this song a lot together and we've practiced and played countless other songs over the years, but the memory of hearing her voice gliding over my playing for the first time is rooted deep, deep down in my brain and my heart. I'm not going to lie and say that I knew exactly what was going on between us at the time but thankfully my heart was paying attention.